Gayle suffered the injury while warming up and was ruled out shortly before the toss, with Kyle Hope taking his place. Nottingham: The big-hitting opener was ruled out shortly before the toss in Thursday's second one-day international against England at Trent Bridge after damaging his right hamstring. To compound West Indies' frustration at Gayle's injury, it turned out he had been warming up for a meaningless no result. Only 2.2 overs were possible, with England 21 without loss before rain stopped play after a mere 11 minutes' action. 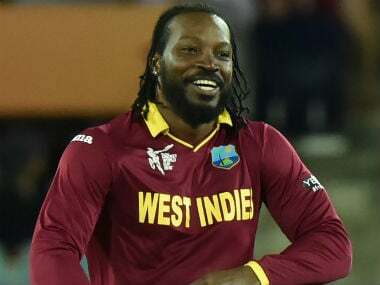 West Indies were left waiting to discover the full extent of Chris Gayle's hamstring injury after the star batsman spent part of his 38th birthday having scans in a Nottingham hospital on Thursday. The rain never relented and, several hours later, the umpires abandoned the match. West Indies have yet to find out if Gayle will be fit for the third of a five-match series at Bristol on Sunday. 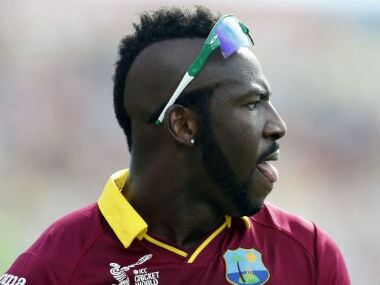 "Chris has been for scans," West Indies coach Stuart Law told reporters. "We don't know the results of them just yet. "But he tweaked a hamstring in the warm-up. "We'll monitor him and see how he's going for Bristol. "He said he didn't want to risk it — which is fair enough." The former Australia batsman added: "If you do a hamstring at 38 it's going to take longer than when you're 18, so we'll err on the side of caution." Gayle struck a typically dynamic 40 off 21 balls, including three fours and four sixes, as West Indies beat England by 21 runs in the lone Twenty20 of their tour in Durham last Saturday -- a repeat of their World Twenty20 final win in Kolkata last year. He appeared to pull up sharply after going for a quick single but fielded for the duration of England's run chase at the Manchester ground. "He said he felt something the other night," explained Law. "But he didn't make a big deal of it — he fielded for all of England's innings." Meanwhile England captain Eoin Morgan insisted he felt no great relief at seeing powerful Jamaica left-hander Gayle's name missing from a Windies team sheet that still included such talented top-order batsmen as Evin Lewis, Shai Hope and Marlon Samuels. "As I mentioned at the start of the series, the West Indies are probably a threat more as a group than any individual they have within their team," said Morgan. "Just because they're missing one player, it doesn't mean we'll take them any more lightly in any game." 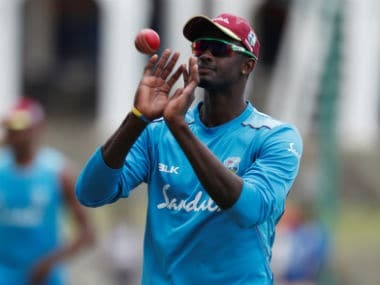 Tuesday's defeat meant West Indies, the two-time former champions, could no longer gain direct entry to the 2019 World Cup in Britain and will have to enter a qualifying competition instead.